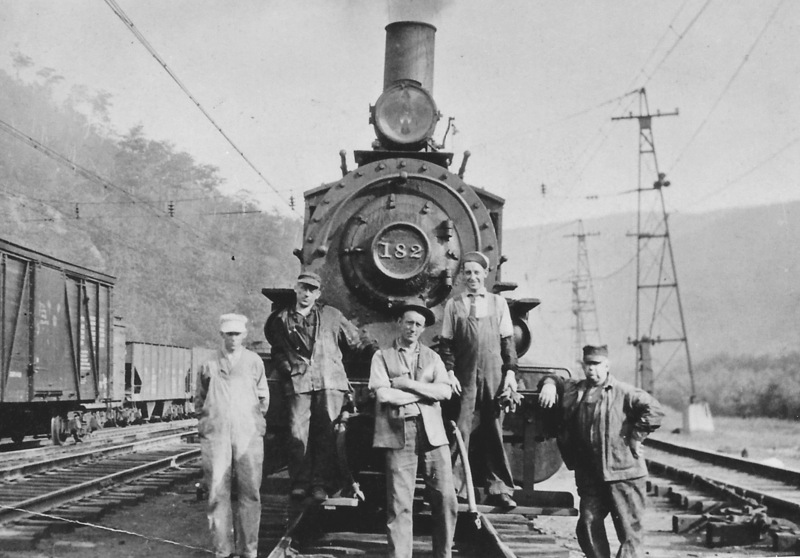 Crew from Fitchburg/B&M Locomotive 182. Probably at the Hoosac Tunnel. Year unknown. Found among the effects of B&M Trainmaster (around 1920) Earl Goodnow. East Portal,HT&W yard to the left. Also, if the tunnel is now under wire, the B&M has already leased the Fitchburg RR and the engine would be B&M 182, a G class 0-6-0 switcher.